Adventure well, and more often. Our story is simple; it’s to live simply and experience life in a quieter, wilder and purer way than our day-to-day as often as we can. Here’s to nature: that dramatic, unpredictable force that has us soaking in the ocean views and sleeping under the stars all while parked in paradise with a big bed in the back. It doesn’t matter if you’re deep in the forest or parked along the side of the road, it’s all camping. And it’s all good so find your source in the source. Whether it’s finding the perfect hike to take our dogs on or clearing space for a yoga mat or cooking a delicious meal with just the right wine, living in the now is paramount so adventure well, and more often. Andy prepares all the nosh in the van kitchen and he shops at local farmer’s markets along the way to our destination. He loves chatting it up with the town folk, sampling their crops and using ingredients that are new to him or that he can’t get on the Central Coast. 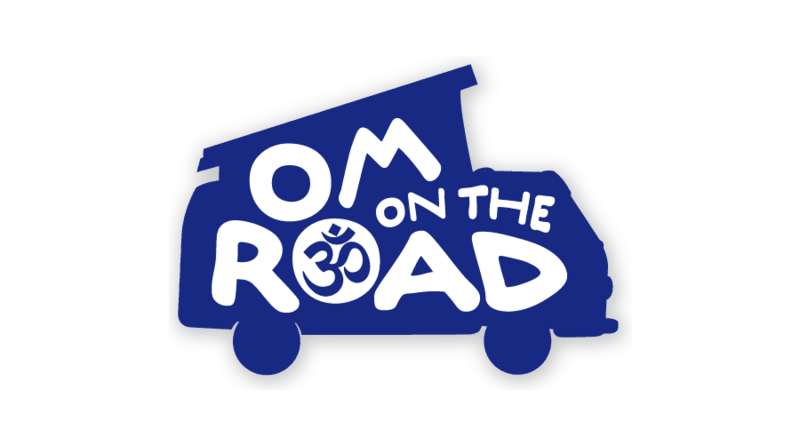 For OM on the Road events, he designs different finger foods, small charcuterie boards, and his signature Flourless Chocolate Cakes! Vegan? Gluten-free? Vegetarian? No problem! Traveling leaves you speechless and turns you into a storyteller. Plan a yogi/foodie pop-up adventure with us in your town! We bring the yoga and food, you provide the space whether it be in your backyard, local park, campsite or vineyard, you create your own stage. The audience is waiting! We love being apart of and helping build new communities on and off the mat… and the fact that you don’t need to be sitting around a large table to enjoy good company is key; you can easily attain it standing around a cool van surrounded by nature and fresh air! Would you run away with me? Niccola loves clearing space in nature for her yoga mat and approaches the OM on the Road classes in a fun and playful way that is inviting and suitable for all levels. She incorporates breathing and meditation exercises in her classes and she blends Ashtanga and Vinyasa yoga together with a side of humor! Niccola has experience with students who have limitations, who are elderly, and who are brand new to yoga and she encourages everyBODY to roll out their mat and wander, explore and discover the beauty of yoga. We are available for glamping adventures, yoga retreats, cooking classes and just about anything that had us embracing new detours. Adventure may hurt but monotony will kill us! Custom price quotes available depending upon your location. We don’t require any additional accommodation as we sleep, cook and live out of Flossy the Westy when we travel. We are dog friendly people and love a good rustic atmosphere. For more information, questions and to plan your yogi/foodie adventure with us, click on the contact button below. Niccola Nelson is a mover, shaker, writer, camping obsessed yoga teacher. She has been teaching Ashtanga, Vinyasa and chair yoga since 2004 and now makes her home on the Central Coast of California where she leads unique events for yogis and foodies alike that include glamping retreats, guided hikes and yoga parties in her backyard. 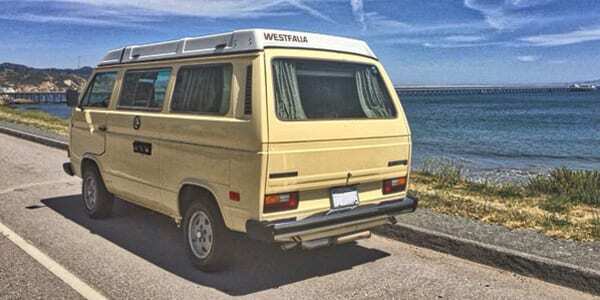 Her newest adventure is doing pop-up kitchen/yoga events out of her 82′ VW Westy with her chef hubby Andy. Niccola is a well sought out teacher in the San Luis Obispo county and her love for travel as her wanting to adventure well more often! Andy Nelson has knives and will travel. He has been a professional chef for over 20 years and has worked in dozens of restaurants throughout Chicago, and on food trucks, at golf resorts and wineries. He also caters private events on the side and has experience with Asian, French and Latin cuisines. 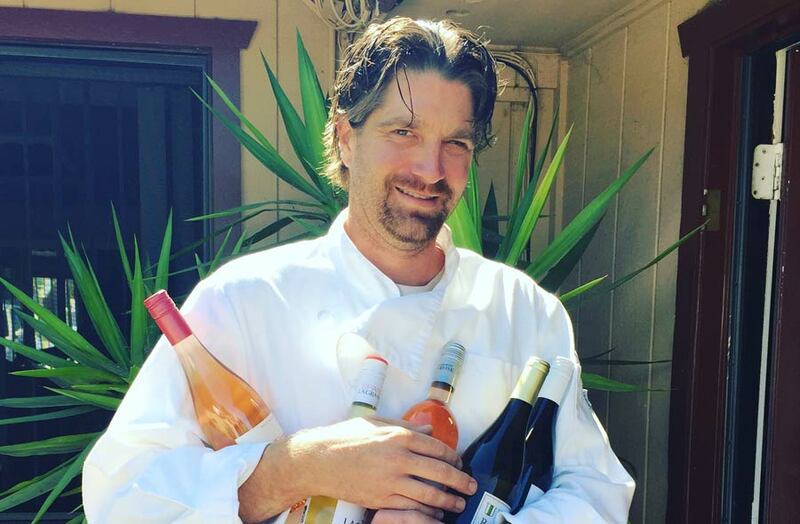 Andy is your typical foodie/wino who enjoys pairing the two; especially in the Westy because he is encouraged to get more creative with space, ingredients and cooking utensils. He eye rolls his wife’s crazy visions, but is always up for a new adventure! Got a Question? Send Us an Email! Enter your email address to Subscribe to the Yummy Yogini blog and receive notifications of new posts by email.